Local news for Tacloban, Leyte, Philippines continually updated. Definitive Source of News and Information about the Tacloban region. TACLOBAN CITY -- The civic action group that sued Samar Gov. Milagrosa Tan for graft vowed to go to the Supreme Court if the order to suspend Tan, a close ally of President Macapagal-Arroyo, is not enforced. Fr. Cesar Aculan, Isog Han Samar Movement president, said the group will be left with no choice but to seek the help of the Supreme Court if Local Governments Secretary Ronaldo Puno does not enforce the Sandiganbayan order to suspend Tan for 90 days. Aculan said his group would seek SC help "so that justice will be served to the people of Samar, who are victims of [wrongdoings] committed by our provincial officials." The Department of Interior and Local Government has yet to serve the suspension order, more than two weeks after the Sandiganbayan issued it. "We are really disappointed that the preventive suspension order issued by the Sandiganbayan has yet to be served," said Aculan. He said if the suspension order would not be enforced, it would be a "travesty of justice." Aculan said his group sued Tan and other provincial officials because its members were "concerned citizens of our province which is among the poorest in the country." "They [Tan and other provincial government officials] should be held accountable for what they did," said Aculan. "All we want is for Samar to have a good, responsive governance or leadership. That is why, we are fighting for this case," he said. The group, composed of members and leaders of several nongovernment organizations based in the cities of Calbayog and Catbalogan, filed charges at the Ombudsman against Tan and the other officials for allegedly conspiring to defraud the provincial government of some P16.1 million in funds. The group alleged that the money was used for the anomalous purchase without public bidding of goods intended for victims of Typhoon "Kidang," but these did not benefit the victims. In 2004, the Ombudsman endorsed the case to the Sandiganbayan. Last July 11, the Sandiganbayan Fourth Division, composed of Associate Justices Jose Hernandez, Samuel Martires and Gregory Ong, issued the preventive suspension order against Tan and four other provincial officials. Ordered suspended with Tan were Maximo Sison, provincial budget officer; Romeo Reales, provincial accountant; Rolando Montejo, provincial administrative officer; and Numeriano Legaspi, property custodian inspector. Borongan City -- Now it can be told: finally, Eastern Samar's bad roads are now undergoing repair. For the ordinary citizen, it doesn't matter which office is spearheading this vital renovation for as long as basic services come quickly and unhampered and progress and development are not obstructed. For the last two weeks or so, Governor Ben Evardone ordered to start at least filling up the "Sungkaan"-like holes that spread all over the national highways of the province, hoping that it would somehow ease up the travelers. Using a white sand they popularly call " Aras -as", the barangay volunteers began the urgent solution to the "thousand lakes" by at least filling them up which have long been dreamed of by many of us. In a radio program in Tacloban recently, Board Member Dodoy Sabulao said they, as elected officials cannot just afford sitting down looking at the serious problem, which was why they backed up the resolution that was passed earlier by the Provincial Disaster Coordinating Council (PDCC) which authorized the Provincial Government to intervene for the improvement of the 317 km. stretch national highway. "Our move which authorized the province's Chief Executive to effect the urgent solution was legal; it is provided in the General Welfare Code", the lawyer turned law-maker said on air over a Tacloban-based radio station. Apparently, Sabulao's statement was premised on some negative reactions pertaining to the province's intervention on the road repair. He further claimed that it was because of necessity that they took the action. "The road serves as the backbone and an important ingredient in moving the province forward; as elected officials we cannot just be sitting on our laurels specially in times of necessity as in the bad roads which affect largely the economic activity in our province." Sabulao added. Very recently however, it became a public knowledge that her Excellency President Gloria Macapagal-Arroyo had released some P478M for the repair and rehabilitation of the Taft-Guiuan national highways and with the Special Allotment Release Order(SARO) now made available, probably more concrete repairs will soon be done. PAMPLONA, Camarines Sur, Philippines -- When the bus left the ferry terminal in Matnog, Sorsogon, the bus conductor's advice for him to transfer from the front row to one of the middle seats to be with his companions could have saved his life, said passenger Joel Mallorca, 33, who left Tacloban City on Monday to look for a job in Manila. At a little past 2 a.m. on Tuesday, while the Silver Bus Line he was riding was cruising along the village of San Ramon in Pamplona, Camarines Sur, Mallorca said he heard a loud crash before pandemonium erupted. Mallorca's bus figured in a head-on collision with an oncoming bus from Naga City, the Executive Carrier Bus Line, the impact tearing apart the leftmost sides of both buses. According to police, most of the dead victims were seated in the front seats on the left side of the buses where their bodies were retrieved. Police said nine persons died on the spot while two of the 33 persons reported injured died later at the Bicol Medical Center where the injured were brought. The buses, each with a 38-seating capacity, were fully occupied at the time of the accident, according to Inspector Marianito Almendral, officer-in-charge of the Pamplona police. The fatalities who died on the spot were identified as Eric Mahillo, Jenny Carter of Makati, Ricardo Pasaan of Cavite, Dominador Careon of Antipolo, and Godofredo Garcia. Two other victims who died in the hospital were identified as Dennis Salcedo and Edmundo Tolentino. The booking office of Silver Star bus line located in the village of Balogo in Sorsogon City confirmed that the driver of its bus line, identified only by his surname Alcantara, was among the fatalities. "Most of Silver Star's passengers came from Maasin City in Leyte," said Boboy Lao, booking office personnel. Almendral was not able to provide the complete list of names as investigators still had to identify the fatalities from available identification papers from the bodies. The passengers who were being treated at the BMC for injuries included Maryon Bentulay, Jesus Bernasol, Marinel Tolentino, Mark Ted Ante, Merlin Bayugos, Rodolfo Moquia, Jose Satuito, Desiree Salceda, Edenita Ramos, Bartolay Maryann and Elizabeth Evangelio. Also included in the list were Josefino Pedris, Virginia Gonzales, Abelino Moquia, Margarita Asudillo, Dominador Asudillo, Simplicio Antido, Gillian Miel, Rhodalyn Fernandez, Mary Balinsona, Eloisa Megda, Michael Olaño, Anthony Teoxon, Emily Salvador, Enrique Giray, Refuarzo Agundino, Mayla Acana, Clemencia Villamor, Vincencio Cusi, Rolando Leantada, Mallorca and Jovylan Matira. TACLOBAN CITY, Philippines -- The Department of Interior and Local Government in the Eastern Visayas has yet to implement the suspension of Samar Gov. Milagrosa Tan, two weeks after the order was handed down by the Sandiganbayan, which will try her for graft and corruption. DILG regional director William Paler said on Sunday he could not act on the governor's suspension since there was no enforcement order yet from Interior Secretary Ronaldo Puno. "Once we receive an order from our secretary, I will personally serve the order," Paler said. Tan is serving her final term as governor of Samar, one of the depressed provinces in the country. She is a close political ally of President Gloria Macapagal-Arroyo. The Sandiganbayan, an anti-graft court, meted a 90-day suspension order against Tan for the alleged graft-ridden purchase of "emergency supplies" in 2001 worth P16.1 million. Aside from Tan, others slapped with a 90-day suspension order by the anti-graft court were Ronaldo Montejo, provincial administrative officer; Romeo Reales, provincial accountant; Maximo Sison, provincial budget officer; and Numeriano Legaspi, property inspection officer. On July 11, the Sandiganbayan directed Puno to serve the suspension order to Tan. The Sandiganbayan also directed Samar Vice Gov. Jesus Redaja to implement the suspension of Tan's co-accused. The Office of the Ombudsman lodged the cases against Tan and the four capitol officers at the Sandiganbayan in 2004 on the basis of the complaint of Fr. Noel Labendia, parish priest of the Diocese of Calbayog and founding leader of Isog Han Samar Movement, an anti-corruption group in the province. The complaint claimed that Tan and the four officers allegedly conspired to approve anomalous purchases of P16.1 million worth of supposed "emergency supplies" without any public bidding. The complaint said the purchases included rice, medical items and electric fans earmarked for victims of typhoon "Kidang" which hit portions of the province on Dec. 4 and 5, 2001. However, some of the purchases turned out to be based on requests made by municipalities long before the calamity happened. The complaint cited deliveries of hundreds of sacks of rice that were contracted to Wilmart's Mini Mart, which was not a registered grain supplier in the province. The store is located in Tacloban City, in Leyte. Tan could not be contacted for comment. Redaja, an ally of Tan, also refused to take the calls and text messages sent to him about the suspension order issued against the Samar governor. Paler said Redaja would be named as the province's governor upon the implementation of Tan's suspension. He stressed that Redaja could not likewise suspend Tan's four co-accused until he got the official copy of the Sandiganbayan resolution that authorized him to do so. Tacloban City -- Eyes and ears of Eastern Visayans will be glued to the radio and television sets in the afternoon of July 28 as they eagerly await on the message President Arroyo will give as she delivers her 2008 State of the Nation Address at the Joint Opening of Congress. All government and private radio and television stations in Region 8 will air and show the much awaited event of the year where the President reviews her administration's performance vis-à-vis her SONA the year before, and then voices her aspirations for the country for the coming year. A proof of how important the President's SONA is to the Eastern Visayans, three members of the Eastern Visayas media have applied for accreditation so that they could cover the proceedings right at the Session Hall of the House of Representatives at the Batasan Complex. The three local media people will report live through the Radio DYDW in Tacloban starting at 1:00 o'clock in the afternoon. The coverage will be anchored by Regine Olimberio, station manager Fred Balbuena and PIA Director Olive Tiu. They will be joined by guests who will help them discuss the President's SONA. To disabuse those who are already betting as to what color the gown of the President will be, the Office of the Press Secretary has already announced that the President is expected to arrive at 3:30 in the afternoon at the Batasan Complex, garbed in a reddish-pink Filipiniana attire of native silk from Misamis Oriental in Mindanao and pineapple fiber from Aklan in the Visayas. The President who will be accompanied by the First Gentleman, Atty. Jose Miguel Arroyo, will troop the line with the Armed Forces Chief of Staff and the sergeants-at-arms of the two Houses of Congress. Senate President Manuel Villar and House Speaker Prospero Nograles will receive the President. By 4:00 o'clock in the afternoon, the second joint regular session of the 14th Congress shall be opened, with the President's SONA as its highlight. 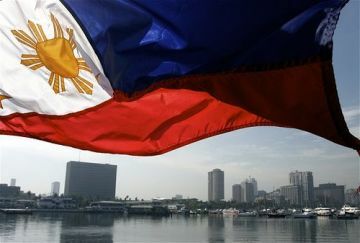 The President's SONA which was reported to be initially 10 pages long, is expected to focus on disaster management as with the recent tragedies that beset the country, the President wants to ensure that a repeat of such incident in the future could be prevented through intensified disaster preparedness programs and updated rescue and relief operations guidelines. 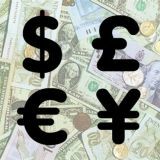 The speech is reported to discuss the government's social welfare program in response to the current global crisis stemming from the rising prices of oil and food. The Eastern Visayans will surely listen intently and watch closely the President as she delivers her State of the Nation Address. More than commenting on the President's gown, the Eastern Visayans will surely await for any mention of projects or places or people in the Region, by the President. After the President's SONA, the coverage will continue in order to get the reactions of government officials and private individuals who are at the Session Hall. Tacloban City -- Leyte is victorious in its bid to host the next Palarong Pambansa, Leyte Governor Carlos Jericho Petilla informed through Provincial Administrator Vince Emnas. The decision was reached on July 25, at the Department of Education Central Office where all the contending bidders, Capiz, Dumaguete and Leyte, were present. Vice Governor Mimyet Bagulaya said that Governor Carlos Jericho Petilla ably made the presentation for the Province of Leyte, before the panel composed of the 16 Regional Directors of DepEd. The Governor was accompanied by Vice Governor Mimyet Bagulaya and the entire membership of the Provincial Board. Giving the much needed moral support were Southern Leyte Governor Damian Mercado, Samar Governor Mila Tan, Congressman Carmen Cari of the third District of Leyte and PAGCOR Vice President Remedios L. Petilla. The Department of Education Region 8 officials were also there, headed by Director Sol f. Matugas, Leyte Division Superintendent Sol Lumarda, and all the Division Supervisors. Governor Petilla has made pronouncements that he would rather look at the hosting of the 2009 Palarong Pambansa as a unifying activity that will solidify not only the partnership among local government units in the province of Leyte but that of the entire Region 8. The Governor said he would rather give the hosting a different color, that of the rare opportunity to promote the province of Leyte and Eastern Visayas as a whole. To reinforce its bid and show its sincerity in hosting the next Palaro, the Province of Leyte through the Sangguniang Panlalawigan has appropriated the amount of P50 Million to be used for the improvement, rehabilitation and repair of the sports facilities at the Leyte Sport Complex and various sports and school facilities, where athletes would be billeted. "We are willing to spend millions of pesos because we would like to promote the province and the entire Region 8 and in the process gain more economic activity, Governor Petilla earlier said. After witnessing the games up close in Puerto Princesa City and how the country's "Summer Tourism Capital" organized and hosted the multi-sports event, Presidential Assistant for Eastern Visayas Victor Domingo urged the local government units in the region to work together to vie for the hosting of the next Palarong Pambansa. Secretary Domingo talked to Leyte Governor Carlos Jericho Petilla to bid for the hosting of the Palaro, as a province, since among the province's property is the Leyte Sports Complex, formerly the BR Sports Complex and better known as the Leyte Grandstand, which can accommodate most of the track and field sports that are very important competitions in a national sporting event. The Governor immediately gave a positive response to the idea saying the provincial government can allot money to improve the place especially for its track and field course. Secretary Domingo believed that it is about time the Region place host again to the Palaro especially because the last time the Region hosted the national sports event was in 1983. Besides, the Eastern Visayas' provinces have the capacity to host more or less 10,000 athletes, coaches, chaperons and delegation officials who will attend the national games for both the elementary and secondary levels. Earlier, Northern Samar Governor Raul Daza has expressed the Province's intention to provide support to whichever Eastern Visayas province that would be declared as host. TACLOBAN CITY -- Around twenty residents recently submitted their respective affidavits to the City Fire Investigator and pointed to a welding machine as the cause of a fire that burned down their homes and properties Tuesday last week. They residents said that the welding machine was being used by a certain Leonida Bagol for the construction of her new house about four meters away from her abode. The residents alleged however that their statements were not being evaluated by fire investigators. "We submitted our affidavit last Friday, and yet it was not forwarded to the city prosecutor. What kind of investigation are they doing?" said Dionesio Balame, one of the residents who filed an affidavit. He further complained of the slow progress of the investigation. The Fire Station's chief of operations division, said however that they have no case to file yet before the office of the city prosecutor. "We are not yet done with our investigation, so how can we file a case?" said Senior Fire Officer 4 Bienvinido Tobilla. Tobilla further explained why after more than a week their investigation is not yet done. "We have received a lot of statements coming from the residents of the area. It takes time to review all of them because we need to keenly get what the witnesses are saying," he said. "Why are they in so much hurry? This is our job and I hope they'll understand that were only doing what we're supposed to do." Tacloban City -- The Department of Health - Eastern Visayas headed by Regional DirectorTeogenes F. Baluma announces that some Local Government Units from Region 8 are awardees in the 10th National Sandugo Recognition Award which will be held in Manila on July 31, 2008. Awardees are Hon. Hilarion C. Lanugan, Brgy. Captain of Brgy. Pili, Almeria, Biliran; Hon. Jesus P. Estrada, Brgy. Captain of Brgy. Talahid, Almeria, Biliran; and Hon. Apolinario E. Ibaja, Sr., Brgy. Captain of Brgy. Matanggo of Almeria, Biliran. Centered on the theme "Once is not enough, donate blood regularly! ", National Donor's Month is being observed every month of July, pursuant to Presidential Proclamation No. 1021, dated July 9, 1997. Relative to this, Dir. Baluma invites active, healthy and qualified donors to share and voluntarily donate blood not only now, but regularly. According to DOH, regular donation of blood saves not only others lives but ours too. It was also bared that it is safe for a healthy and normal individual to donate blood once in every three months and not suffer any side effect, hence, health-wise it would be more beneficial to the donor. To mark the celebration, blood letting activities will be conducted in Abuyog, Javier, and Tanauan, Leyte; Silago, St. Bernard, and Sogod, Southern Leyte; and Tarangnan, Western Samar. Likewise, in Tacloban City, blood letting will also be conducted in San Jose and Anibong. 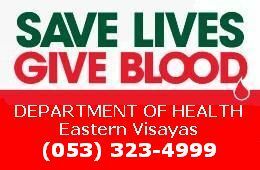 For those who are interested to have blood letting activities in their area, one may get in touch with Dr. Eduardo Pedrosa, Regional Voluntary Blood Coordinator of DOH-EV through telephone number (053) 323-4999. TACLOBAN CITY, Philippines - The government has earmarked P58.5 million for the distribution of fertilizer discount coupons to rice farmers in Eastern Visayas this planting season. The Department of Agriculture (DA) regional office here delivered a total of 234,000 coupons to local government units (LGUs), which will distribute these to the farmers. Leo Cañeda, Agriculture regional executive director, said the Agriculture department will provide a farmer two discount coupons worth P500 each for every hectare of rice field. The local governments, on the other hand, can allot as many as four coupons per hectare to the same beneficiaries in their localities. "Whatever subsidy that the national government will be providing will be matched with subsidy by the LGU. The mechanics will depend on the decision of local officials," Mr. Cañeda said in an interview on Wednesday. The Agriculture department and local executives agreed to embark on the subsidy program beginning this cropping season so farmers can mitigate the impact of skyrocketing farm input costs and rapidly raise their palay yields by using the right amount of fertilizers. According to the Department of Budget and Management, the LGU contribution to the fertilizer subsidy would be drawn from the P12.5-billion internal revenue allotment backlogs from 2001 to 2004, which President Gloria M. Arroyo has ordered released. "LGU subsidy represents about half of the total fertilizer cost per bag. All LGUs will be doing their own procurement so they will be buying their own and undertake the distribution," Mr. Cañeda said. A farmer can avail of the program by presenting the coupons to accredited fertilizer dealers in the region. A bag of fertilizer now costs P2,000. For the May-October cropping season, DA is eyeing to plant rice in 116,000 hectares of farms. "Multiply the target area by two and that's the total number of coupons that we will give to farmers in the region," said Mr. Cañeda. Health officials in Eastern Visayas have expressed alarm as 12 people have already died of dengue in the past seven months this year. Regional Sentinel Nurse Boyd Cerro, meanwhile, reminded residents of the region to immediately bring possible dengue patients to hospitals to prevent more fatalities. "In these recorded deaths, the victims were not immediately brought to the doctors," Cerro said. Records at the Department of Health Eastern Visayas said the 12 fatalities recorded since January to July this year, is a 2.2 percent increase compared to the same period last year. Cerro said the DOH has already instructed municipal health officers to intensify the information campaign on dengue prevention. "We have to tell the people the importance of early consultation,' Cerro said. Tacloban City -- The government would rather spend more for the rehabilitation and upgrading of irrigation in areas where rice productivity have already been proven, the President said during the recently-held meeting with the members of the Regional Development Council in Region 8. President Arroyo was commenting on the proposed irrigation projects for the island of Samar. The provinces in the Leyte Island have produced more rice than they need. They actually feed the people of the Samar Islands, the President said. The best thing to do is to improve and rehabilitate the irrigation facilities in the island of Leyte so that it will produce more rice; rather than spending much for the construction of irrigation facilities in Samar which has not been tested for its rice productivity. There are areas in Samar like the Catubig Valley which is now being developed by the government, the President said, what must be done is to see to it that the production of such areas must be maximized. The P1.00 spent in Leyte might become P1.80 when spent in Samar, the President said to underscore her thrust of maximizing the use of government funds. Besides, it is impossible to make all areas produce rice or become rice sufficient, the President added. President Arroyo's remarks were her reaction to the comment that very small portion of Samar is irrigated compared to the big percentage of irrigated agricultural lands in the island of Leyte. The President commended Region 8 for achieving P14.3 percent increase in its rice production, the highest in all the Regions of the country, in 2007. TACLOBAN CITY, Philippines -- Over 200,000 trees in Eastern Visayas provinces have been infested with the coconut leaf beetle as of this month, the Philippine Coconut Authority said over the weekend. The situation, however, is under control because the infected trees comprise less than 1% of the 73 million coconut trees in the region, said PCA regional manager Edilberto Nierva. "We have intensified our monitoring in affected areas of the region. The total affected trees account only a small share of the total regional output," Mr. Nierva said in an interview over the weekend. The number of infected trees increased to 221,713 as of this month from only about 6,000 in 2007. Due to budgetary constraints, Mr. Nierva said they were able to treat only 121,271 trees, so far, this year. The latest infestation was eyed early this month in Giporlos, Eastern Samar with around 658 coconut trees affected. Of the more than 221,000 trees attacked by the pest, 94,602 are in Northern Samar; 65,000 in Eastern Samar; 60,589 in Samar; and 1,522 in Leyte province. The affected areas are Allen, Capul, Lavezares, San Antonio, Victoria, Catarman and San Jose in Northern Samar; Mercedes, Borongan, Giporlos and Salcedo in Eastern Samar; Calbayog City, Catbalogan City, Paranas, Gandara, and Hinabangan in Samar; Tacloban City, Ormoc City and Mahaplag in Leyte. Southern Leyte and Biliran have remained pest-free. "We believe that transportation is the major factor in the spread of this coco pest, as we note that most of the newly infested farms are close to terminals, Mr. Nierva said. Also known as brontispa, the beetle is an invasive pest that was introduced to the country, presumably in early 2004, via importation of ornamental palms. Eastern Visayas is the second largest coconut-producing region in the country with around 73 million coconut trees yielding an average of 1.9 billion nuts a year. Tacloban City -- Col. Eduardo del Rosario, commander of the 803rd Infantry (Peacemaker) Brigade condemned the hapless killing of an innocent civilian in the hands of the communist terrorists on July 9, 2008 at around 5:00 o'clock in the afternoon at Barangay Diit, Matuguinao, Samar. Col. Reyes tagged the killing as a barbaric act and a gross violation of human rights to live peacefully. The victim was an innocent civilian identified as Leo Micol of legal age, single and a resident of Barangay Diit, Matuguinao, Western Samar. Reports stated that the fully armed Communist Terrorists numbering more or less thirty (30), were wearing Battle Dress Attire (BDA) (military uniform) and combat boots, and introduced themselves as military intelligence operatives, when they went to the house of the victim. Believing that the group was indeed that of a regular Army soldiers, victim Micol went out of his house in order to talk to them. Unfortunately, the rebels forcibly brought the victim about five hundred meters away from his house and without pity shot him to death. The victim suffered gunshot wounds in his head and chest that caused his untimely death. The hapless body of the victim was brought by concerned civilians to Brgy Mabuligon, Matuguinao for proper disposition. Col. Del Rosario said that despite the good intentions of the peace initiative of the government, the communist terrorists have continuously refused to give peace a chance and still resort to violence in their attempt to sow panic and terror among the populace in the furtherance of their extortion activities. Col. Del Rosario reiterated his call for every citizen to be vigilant and not to be fooled by the sweet lies of the communist terrorists, Lt. Col. Ernesto Simon informed. Col. Del Rosario also encouraged the people to report to the military, the presence of communist terrorists in their respective areas and to continue to cooperate with the military to stop once and for all the terroristic activities of the communist terrorists. TACLOBAN CITY - Leyte traders are now joining the rest of various sectors nationwide in asking President Arroyo to lift the suspension on the vessel operations of Sulpicio Lines. Ignacio B. Malate, president and general manager of the Leyte Integrated Port Services, Inc. based here said many businessmen in Leyte are now losing income because they could no longer load and bring their cargoes from Manila and back because of the suspension. Malate who operates the arrastre services in Baybay, Palompon, Catbalogan and this city, said several businessmen are now complaining to him on when their cargoes would be brought to these ports and also transport cargoes to Manila. "Many businessmen are now complaining to them on when their goods will be transported to the various Leyte ports by Sulpicio Lines vessels. They want that the lifting be immediately ordered by President Arroyo as the supply of goods in Leyte is greatly affected," Malate told newsmen in an interview. Malate said the suspension does not only affect the cargoes but other sectors as well like the truck haulers, arrastre workers and laborers at these ports. Malate said he alone hires 80 workers when a vessel arrive in Tacloban and many more workers in various ports of Leyte. "These affected people depend their livelihood from the ports and they have no means to support their families especially now that prices of rice and fuel are increasing," Malate said. Besides the shortage of supplies, many commodities loaded by Sulpicio Lines are also affected and do not reach the markets, making the prices of these goods to increase as the supplies are dwindling. He said many commodities sold in Leyte towns and markets and even in Samar areas are brought to Tacloban and Leyte ports by Sulpicio Lines through its passenger and cargo vessels. Transporting goods and commodities from Manila by sea is cheaper than by land or air, he added. "The sinking of the M/V Princess of the Stars was an isolated case. The people working in the ports and the public should not be penalized for this incident as the economy and livelihood of the many sectors are greatly affected," Malate expressed. The Philippine Ports Authority and other government agencies tasked in the shipping industry are also deprived of their revenues as no vessels dock or call in their ports, Malate added. Tacloban City -- The Guiuan Airport Development Project, a SONA commitment of President Gloria Macapagal-Arroyo, is now being implemented in full blast, Guiuan Mayor Analiza Kwan informed. This month of July, the bidding for the asphalt overlay of the runway, the construction of the perimeter fence and electrification was completed and the winning contractor will start as soon as the documents for the notice to commence have been completed, Mayor Kwan added. The airport is seen as the key to the coming of more tourists to the island paradise which is being promoted by no less than President Arroyo as a major destination in the Visayas. Already, an airline company has agreed to make flights at the Guiuan Airport once it is completed. In fact, it is the airline company which gave the specifications for the airport development, Mayor Kwan added. The Regional Development Council Project Monitoring team reported during the latest RDC meeting that the estimated project cost is P142 Million and so far, the amount of P10.0 Million and P15 Million was allocated in 2006 and 2007. For 2008, the amount of P70 Million has been programmed, the Regional Development Council Project Monitoring team reported. However, Mayor Analiza Kwan informed that the project cost for the asphalt overlay for the runway, construction of the perimeter fence and electrification is P105 Million. The 2006 and 2007 allocation was used for the construction and concreting of Apron and Taxiway and for the rehabilitation of the Passenger Terminal Building. The construction of Apron and Taxiway was completed in September of 2007 while the concreting of the Apron and Taxiway was completed in January of 2008. The rehabilitation of the Passenger Terminal Building has also been completed, Mayor Kwan said. The Guiuan Airport Development Project is a priority project of President Arroyo in line with her super region concept of development where Region 8 is part of the Central Philippines Super Region envisioned to be the tourism center of the country. In Region 8, the Calicoan Islands in Guiuan is being developed as an important tourist destination. A sanctuary of privacy and indulgence highlighted by tropical landscape and surrounded by the relaxing sound of the ocean - this is how Calicoan, will win the hearts of local and international tourists. Calicoan Island boasts of miles of white sand beaches. With powerful swells rolling in from the Pacific over the 10,000 meters Philippine Deep, Calicoan is a surfer's paradise. The rich diversity of the area is evident when one sees the exotic species being sold. The surrounding waters support several marine based industries such as fish, seaweed, and pearl farming. In the middle of the island are six lagoons ringed by forest, the largest being 30 hectares in size. At the cliffside margin of Calicoan's forests are dozens of caves. On the northern tip of Calicoan are wetlands like the Everglades, teeming with fish, shrimp, and crabs. Tacloban City -- The Department of Energy (DOE) is scheduled to conduct a public consultation on July 21 at the Kanhuraw Convention Center, from 8:00 o'clock in the morning to 5:00 o'clock in the afternoon. Under Secretary Roy Kyamko of the Department of Energy informed that the Visayas Consultation for Region 8 is an opportunity for the Department of Energy to listen and hear out the various energy issues and concerns of local stakeholders. The Department of Energy is coming up with a series of public consultations from July to September of this year to present the draft of the Philippine Energy Plan for 2008-2030 and to gather regional inputs, comments, suggestions and recommendations from the target stakeholders on how the plan could be improved and enhanced in terms of policy thrusts, strategies and program, Undersecretary Kyamko said. It would be recalled that President Arroyo has directed the Department of Energy to formulate a 20-year Philippine Energy Plan which would be submitted to the Office of the President and Congress on September 15. Undersecretary Kyamko said that the consultation will have six sectoral workshops namely conventional fuels; renewable energy; downstream oil industry; power, rural/missionary electrification and E.R. 1-94; Energy, Efficiency and Conservation; and Alternative Fuels and Energy Technologies. No less than Regional Development Council for Eastern Visayas Chairman Mayor Mel Senen Sarmiento will welcome the participants to the public consultation. Department of Energy Secretary Angelo Reyes is scheduled to be present during the public consultation and no less than the Presidential Assistant for Eastern Visayas, Secretary Victor Domingo will deliver a message and the closing remarks. Tacloban City - Leyte II Electric Cooperative, Inc. (LEYECO II) has confirmed that this July it will start to distribute power subsidy to consumers in Tacloban and nearby towns of Palo and Babatngon which is covered by its services. The five hundred pesos subsidy for electricity lifeline consumers under the government program "Katas ng E-VAT:Pantawid Kuryente" would be given to at least 18,000 power consumers served by LEYECO II. The lifeline power consumers are those whose power consumption is from 1-100 kilowatthours last month. "For the qualified recipients, a notice will appear in their bill that indeed the one-time P500 power subsidy will be deducted from their bill for the month. However, for consumers whose electricity due is below P500, we'll have to subtract it (from their bill) until such time that all the five hundred is consumed, " said LEYECO II General Manager Jerry Gwen Conde. Other electric cooperatives in Eastern Visayas covered by the subsidy to lifeline consumers in the region are Biliran Electric Cooperative, Inc. (BILECO), Southern Leyte Electric Cooperative, Inc. (SOLECO), Eastern Samar Electric Cooperative, Inc. (ESAMELCO), Samar Electric Cooperative, Inc. (SAMELCO), Northern Samar Electric Cooperative, Inc. (NORELCO) and LEYECO III, IV, and V.
MANILA, Philippines -- A magnitude-4.8 quake rocked Eastern Visayas Thursday evening, but no casualty or damage was reported, the United States Geological Service said. The USGS said the quake was recorded at 6:12 p.m., with the epicenter traced 60 kilometers east of Guiuan, Samar, or 140 km east of Tacloban, Leyte. It said the epicenter was also 170 km north-northeast of Surigao, or 695 km east-southeast of Manila. Tacloban City -- Only a few jeepney and multicab operators have started implementing the P1 fare increase here recently approved by the Land Transportation Franchising and Regulatory Board (LTFRB). Since Monday, first day of implementation of the fare increase, only a few have secured the required fare matrix. The operators said they have yet to save for the P570 that is required by the board for them to have their copy of the matrix. The P570 includes P510 filling fee, P50 Legal Research Fee (LRF), and P10 certification fee. Meanwhile, tricycle operators in Tacloban City were also asking for an increase in their fares due to the spiraling prices of fuel. The City Council's Committee on Transportation said however that they have not yet received any petition from a transport group. The committee though , through its chair City Councilor Jerry Yaokasin, has expressed its positive position to the clamor of the tricycle drivers and operators. Yaokasin however stressed that if any legislation should be made regarding the matter, the plight of passengers who are also adversely affected by the economic crisis, would also be considered carefully. Tacloban City -- The 19th Infantry Battalion of the 8th Infantry Division has surpassed its operational target goal by 56% because of the overwhelming cooperation and support being given by the people themselves, the local government units, and other government and non-government sectors in the provinces of Leyte and Biliran. Second Lt. Glenn Mangohon, acting information officer of the 19th IB based at Barangay Aguiting, Kananga, Leyte disclosed that the accomplishment is also due to the unit's remarkable application of the triad concept which is highlighted by the fusion and interplay of tactical, intelligence, and civil-military operations in its area of responsibility, covering the provinces of Leyte (including the City of Ormoc), and Biliran Island. As a result of the sustained special operations throughout the area of operations, the unit was able to organize and train 88 Bantay Bayan Organizations (BBO) in 88 barangays which are currently serving as community passive defense forces, providing early warning against NPA re-incursion, 2Lt Mangohon said. These BBOs also provide information support for the massive information drives in the different municipalities and barangays, as well as for symposia in different schools and sectoral groups in the area. The 19th Infantry Battalion (19IB) continues to win over the remaining NPA forces and supporters of the North Leyte Front (NLF) and South Leyte Front (SLF), both of the Eastern Visayas Regional Party Committee of the Communist Party of the Philippines. In less than one (1) year since 01 September 2007, the battalion was able to apprehend fifteen (15) leaders and members of the Mount Amandewin Command (MAC) and Evelyn Dublin Command (EDC), the armed components of the said fronts respectively, and was able to negotiate and made possible the surrender of nine (9) others. The battalion likewise recovered fourteen (14) high powered firearms and 127 low powered firearms during the same period. Moreover, a little less than two thousand members of the MAC mass base organizations, mostly belonging to the leftist Kahugpungang Mag-uuma sa San Isidro (KAMAS) and Samahang Mag-uuma sa Calubian (SAMACA), returned to the folds of the law and formally pledged allegiance to the duly constituted government of the Republic of the Philippines after the massive information operations launched by 19IB in the 3rd District of Leyte in the later part of 2007. The latest effort done by the 19IB in cooperation with the local government unit of Kananga, Leyte, through its local chief executive Mayor Elmer Codilla, resulted to the surrender of Jay Putoy @ Teting and Alex Agunos who, thereafter, convinced his other comrade Lito Alcoseba @ Guti together with two (2) others to also surrender. During the rites, Mayor Codilla gave financial assistance to the surrenderees as part of his administration's rebel returnees sustainment program. In his testimony in front of the local media, LGUs, and military officials headed by BGen Arthur Tabaquero who incidentally was in the area during his surrender, "Guti" cried for repentance being victimized by the NPA. He stayed in the left group for five years as he was promised a better life, but in that five years his life was instead miserable. Learning the life now of Alex Agonos who lives freely after his surrender and seeing him that he was not tortured nor punished by the military as being injected to their minds by their NPA masters, "Guti" decided to surrender also. He was one of the rebels who raided the PNP station in Albuera, Leyte on January 2006, and the NPA who ambushed the Alpha Company Service Vehicle in Villaba Leyte, resulting to the killing of a certain Cpl Ramirez and severely wounding 2 other enlisted personnel. TESDA-8, in collaboration with Plan International (Plan Japan & Plan Phil.) and Isuzu Motors Ltd (Japan), will establish an Automotive Training Center within its compound in Tacloban City that will have all the necessary equipment and tools needed to implement training programs up to National Certificate Level !I. The project will cover full support of living and educational fee for trainees, construction of dormitory to house the trainees while they complete their courses, advice for curriculum development and supply of training facilities and equipment. This project is expected to position the Philippines as a major source of world-class automobile technicians. The training center and dormitory will be operational hopefully by July this year. The project, intended to run for five (5) years, aims to produce highly-skilled employable auto-mechanics. Plan and TESDA will collaborate in developing a technical education program that seeks to produce top-class automotive technicians. A target of 80 poor but deserving young men and women will be given scholarship from those communities assisted by Plan International all over the country. The project also aims to provide these trainees jobs after the course by brokering them to industry and firms who are in need of highly-skilled mechanics. The project has been launched and the tripartite partnership was sealed through the memorandum of agreement (MOA) signing on January 31, 2008 in Shangri-La Hotel, Makati City by the top officials from TESDA, Plan International and Isuzu Motors, witnessed by the local and international media. Plan International is an international humanitarian, child-centered development organization working in 66 countries worldwide while Isuzu Motors Ltd. of Japan will donate funds to support this project through their corporate social contribution activities. Isuzu hopes that a new generation of competent and world-class automotive technicians will be produced to cope with the growing demand for technical expertise. Through the project, chosen talented young people in the deprived areas will acquire skills and experience that will enable them to earn stable income as well as contribute to the development of the country's automobile industry. 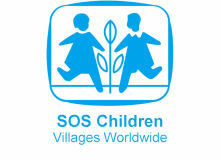 travel guides, restaurants and more ..
provide children with a happy childhood! 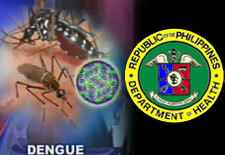 Join the Fight against the Dengue Fever! You can help to keep Tacloban City clean and beautiful. local parks, beaches or public areas! 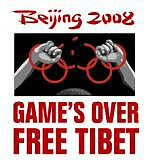 many more languished in prisons and labor camps ... "